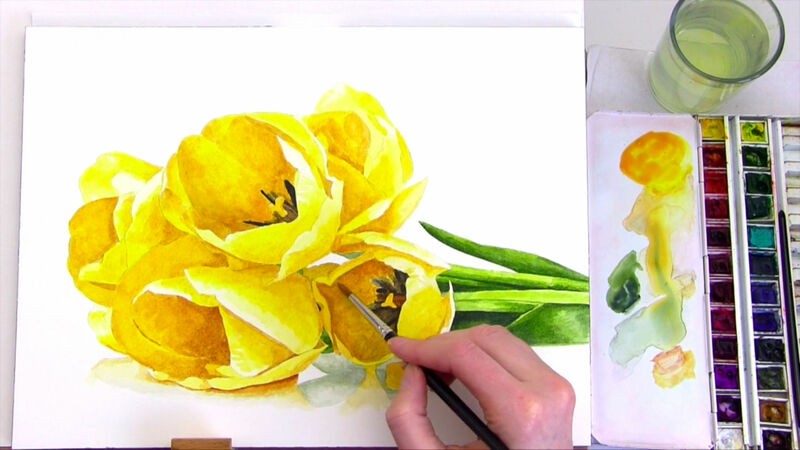 In this tip video I wanted to show you how I went about painting the subtle reflection under this bunch of tulips. There’s something mesmerizing about reflections. Whether in water or on a shiny surface like this, they’re ALL about how light falls. And that means if we capture them in our paintings, we add a dose of realism and magic to them. 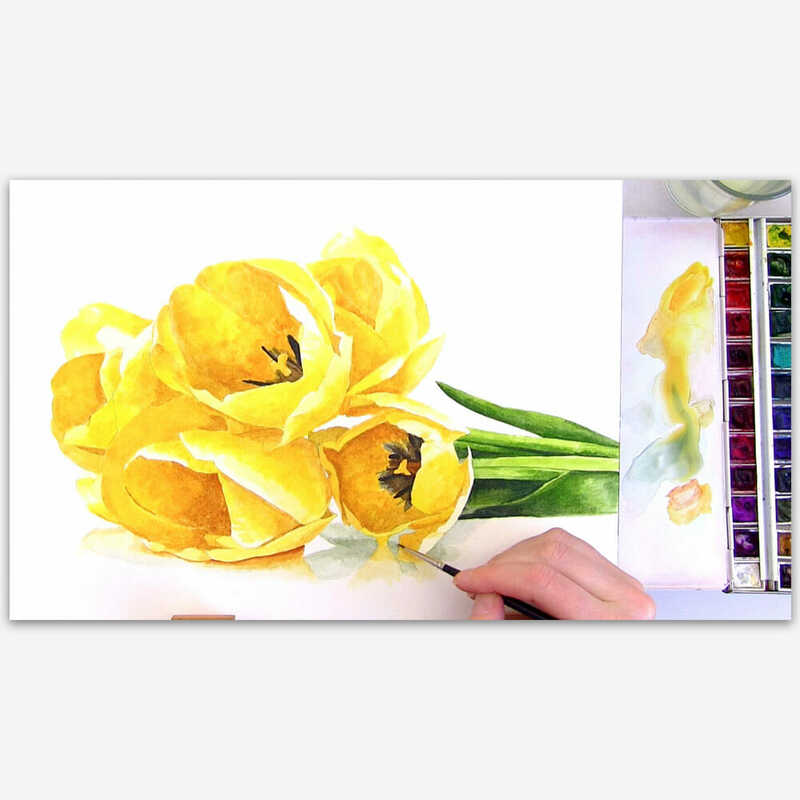 But they can also be tricky to know how to handle with watercolour. I hope it will inspire you to have a go at one for yourself. The video for this tip shows as private. I’ve tried it as a member too. Lovely! The reflection is as wonderful as the tulips themselves. Lovely, so soft and realistic.